Welcome to Price’s Alarms! Welcome to the New Name for Bolt Security Systems in Edmonton and the Okanagan (Kelowna, Vernon, Penticton, Oliver and Osoyoos). On July 1st of 2016, Bolt Security Systems joined the team at Price’s Alarms under the Price’s Alarms name. The future is strong at Price’s Alarms! We’ve opened a brand new office on Stony Plain road in Edmonton and welcomed the Bolt Team to our office in Kelowna. Together we all work to make the security industry better, introducing new ideas and new ways to take care our clients with a wide selection of products and services. 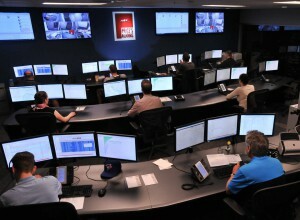 The biggest change for those at Bolt Security is having customers taken care of by Price’s Alarms own ULC Emergency Response Centre (monitoring station). See, most security companies turn to third party monitoring stations to handle their customers day to day monitoring but Price’s Alarms is Western Canada’s largest independent alarm company and owns our own monitoring station which takes care of our customers exclusively. Price’s Alarms welcomes all customers to our in-house monitoring – so if you are with one of our competitors or have no idea who might be monitoring your security system, give us a call at Price’s Alarms and let us change that. We have experienced every type of alarm system throughout many decades of servicing all types of systems and guarantee you we can get you up and running with alarm monitoring from Price’s Alarms.